The Buick Regal has been cruising American roads for 40 years. To observe the Regal’s evolution is to observe the very events in modern history that helped propel its design. As a pioneer of the automotive industry, the legacy of this mid-size car will continue into 2014. The first generation of Buick Regal appeared on showroom floors in 1973 and represented the first restyling of the A-body design since 1968. By 1974, the Buick Regal was available in both a two- and four-door configuration. Although a V6 engine was offered, the 350 cubic inch Buick V8 was the most prolific engine on first generation models. 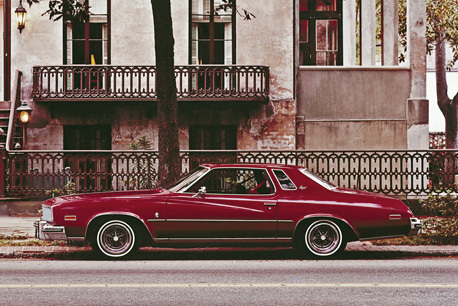 The 1970s ushered in a decade of dramatic change for the American automotive industry. Oil embargos and a general shift in public demand saw the V8 engine fall out of favor. By 1978, the second generation Buick Regal had shed hundreds of pounds, and adopted a more efficient V6 engine as a standard configuration. From the 1980s through the early 2000s, the quiet process of change for this mid-size vehicle continued. During this time, the Regal was engineered to use a series of V6 engines and a front wheel drive layout. Where some vehicles have remained stubbornly stagnant in their design, the Buick Regal has been analogous to the development of the modern automobile. During the twilight years of the muscle car, the Regal offered power to spare with its V8 engine. As front wheel drive cars became increasingly popular, the Regal became a more luxurious family sedan. The Regal was briefly discontinued in 2004, and then reintroduced in 2011. The Buick Regal continues to offer a driving experience that is efficient and stylish, ever mindful of the American driver’s needs.